Hamza Ali Abbasi’s controversial questions and statements in his Ramzan special show have received many reactions from the public and celebrities. Most celebrities till now have supported Hamza Ali Abbasi because they believe everyone has the right to freedom of expression and Hamza Ali was only exercising that right. 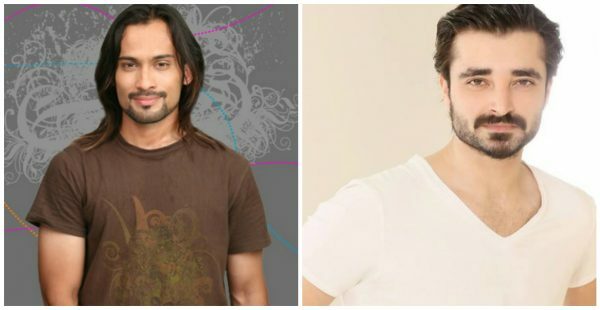 Waqar Zaka is the first celebrity who has come out and expressed openly how he feels about Hamza Ali Abbasi’s actions. In a long video Waqar Zaka discussed the issue of Ahmedis and the duty of the state towards non Muslims. Later on he went on to share why this whole thing was wrong. Waqar Zaka said that Hamza Ali Abbasi could have discussed this issue behind the scenes and then asked a question. But what he did was not ask a question but share an opinion which was totally contrary to what most people believe in, which proves he was doing it all to get attention and publicity. Waqar Zaka apologized to Hamza Ali Abbasi before hand and said that he should admit that he was wrong. Waqar Zaka supported PEMRA’s ban on Hamza Ali Abbasi and also criticized his stance after Jawani Phir Nahi Aani. He also requested Hamza Ali Abbasi to stop insulting his religion and understand it first and then talk about it.